Nature can come in handy for some of the most under-explored, over-looked, and frustrating illnesses in the world. Some of these conditions have been around for thousands of years. And yet, medical science still doesn’t fully understand how they work in some cases, nor do they offer treatments that can help. 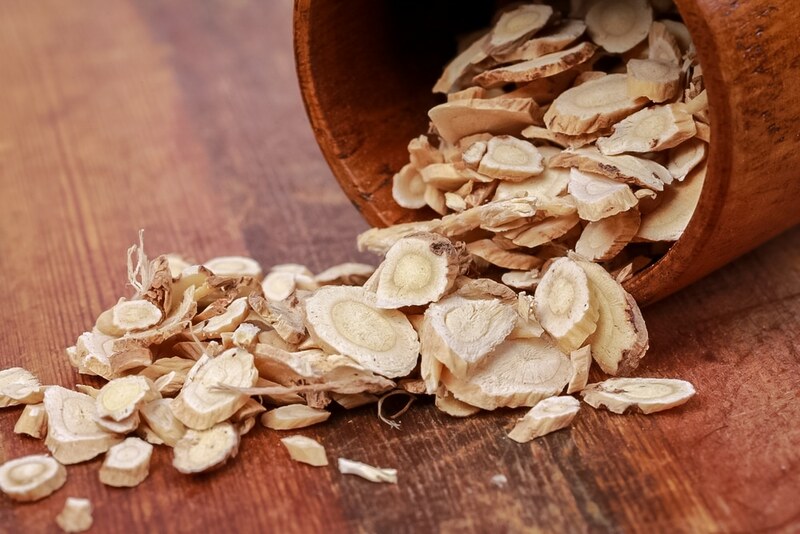 Ancient traditions that used many modalities, however—including botanicals like herbs and mushrooms—may often provide some surprising support directly for these conditions (or the symptoms associated with them) when doctors and drugs, though wonderful in most cases, fail us. One of these such conditions is fibromyalgia, which affects around 5 million people in the U.S—90 percent of them being women. And one of its possible salvations may just be the healthful, anti-inflammatory, antioxidant-rich reishi mushroom. Fibromyalgia is a pain and inflammatory disorder of tissue (“fibro-” means tissue, “myo-” muscle, and “-algia” pain). It’s rheumatic, kind of like rheumatoid arthritis. But, unlike rheumatoid arthritis (or even osteoarthritis), what causes fibromyalgia is different. Symptoms are much like arthritis though, including soreness, pain, and inflammation at various points all over the body. In some cases, fibromyalgia may, in fact, be caused by rheumatoid arthritis or other autoimmune conditions. Despite fibromyalgia affecting so many people, it’s not completely understood what causes it, how it works—and worse, how it can be treated. In fact, fibromyalgia can never really truly be cured—only managed, which can make it all the more frustrating at times. Other symptoms may also accompany the arthritis-like flare-ups of fibromyalgia, making it stand out as a very different sort of condition compared to arthritis. But fibromyalgia doesn’t just involve pain and inflammation possibly due to an autoimmune condition. In fact, fibromyalgia is mostly characterized by a nervous system dysfunction, in which the brain keeps sending pain messages even if it can’t tell whether there’s a cause present to be creating the pain or not. It’s still quite unclear exactly what causes fibromyalgia. However, it may be accurate to say that fibromyalgia can be caused by a whole cocktail of different causes. Underneath all the pain and symptoms of the condition, the basic reason why fibromyalgia occurs is likely due to a miscommunication between the brain and nerve endings all over the body. With fibromyalgia, even if there isn’t anything present to cause pain, the brain will still receive messages that pain is occurring in certain areas. How does a person really know if they have fibromyalgia? It can be hard to tell, especially since there are so many overlapping signs and symptoms with rheumatoid arthritis, multiple sclerosis, and even simple issues like chronic fatigue or stress. Luckily, experts have determined a set list of fibromyalgia signs that can help narrow the possibilities down. Keep in mind, however, that fibromyalgia cannot be self-diagnosed. Only lab tests and visits with doctors and medical experts can help determine and confirm if signs and symptoms do indeed point to the condition. Finding help for fibromyalgia can be just as confusing as navigating whether one truly has it or not. As of yet today, there is still no mainstream drug or treatment that can help with all the symptoms and struggles of fibromyalgia. Even over-the-counter pain relievers aren’t always effective—especially NSAID’s, which may help some with the condition, though not all. In some cases, doctors can prescribe different types of painkillers that work better. But beyond that, someone facing fibromyalgia may not always receive help or treatment for pain. They may be prescribed anti-depressants in some cases, which can help depression associated with the condition—but this does little for the pain otherwise. Other possibilities include muscle relaxants, sleep promoters, and more. With a deficiency of more direct treatments and discoveries about fibromyalgia, many who experience it have turned to alternative health remedies, such as herbs and mushrooms. As it so happens, a healing mushroom called reishi may hold some promise for the condition. In the world of healing herbs today, reishi is one of the most talked-about medicinal fungi out there. Even though it’s a popular supplement today, such use has been preceded even longer by Asian folk healing traditions for thousands of years. Essentially, reishi’s health benefits are nothing new. Studies connect it to amazing potential for supporting issues related to the immune system, inflammation, diabetes, cancer, and more. Reishi is also associated with helping the body age more gracefully. Traditionally, the mushroom was a prized and revered medicine that could help people live longer. It was also used as a tonic to forestall sickness, illness, weakness, and dysfunction of all kinds. Whether claims from the past or present, studies today are showing that all these benefits may have real good ramifications for people experiencing fibromyalgia. Fibromyalgia is not a simple, straightforward condition. Still, modern medicine is scrambling to develop medicines that can help it in a straightforward, effortless manner—though we’re far off from that yet. But natural supportive botanicals—such as reishi—may shine a ray of hope. This is because many herbs and mushrooms tend to work holistically, meaning they help strengthen and heal the source of imbalance underlying or hiding behind complex illnesses instead of addressing its network of symptoms separately. Among all botanicals for fibromyalgia, reishi is one of the best examples of holistic support—plus, it’s fortified by many modern studies. For fibromyalgia, reishi can work holistically. As a result, it could also help a whole web of symptoms caused by fibromyalgia, instead of just one. What’s more, reishi brings very little side effects along for the ride. Even a review of fibromyalgia pain management in 2017 pointed to the mushroom being a possible therapy in the future, with more research. So, what are the many different ways reishi could help fibromyalgia? Let’s take a look. At the center of reishi’s many benefits for fibromyalgia, the mushroom is above all else very rich in antioxidants. Antioxidants are natural compounds that, when consumed, help scavenge and neutralize free radicals that cause deterioration, disease, and weakness. Most importantly, however, free radicals contribute to inflammation—which antioxidants can help curb naturally. Interestingly, studies show that much of the dysfunction that causes fibromyalgia may have to do with inflammation in one way or another. To help combat that, reishi could be a formidable ally. Studies additionally show that the fungus can help suppress harmful inflammation from the immune system through its antioxidant action. Though more studies are needed to fully prove this, this could make reishi an excellent long-term supplement for reducing some fibromyalgia pain naturally. Reishi’s potential role in keeping down harmful inflammation as an antioxidant also means it could enter the ring for autoimmunity. Autoimmunity is one of the possible causes of fibromyalgia. If that is helped, then it could also possibly help improve fibromyalgia and its symptoms. Beyond being able to shield the body from simple chronic inflammation, studies also show reishi may have a hand in supporting autoimmune responses and issues. “Autoimmunity” means that the body has a faulty response and begins to attack itself and cause harm, which usually results in inflammation—and which in turn may also lead to fibromyalgia. In the study, the mushroom’s polysaccharides—some of its most potent compounds—were observed lowering levels of harmful proteins in the body that were associated with autoimmunity. More than anything else, reishi may have the best reputation of all for boosting the immune system and helping it work better. This spells really good news for those with fibromyalgia for a few reasons. Experiencing general weakness, cold and flu-like symptoms, and persistent illness can be part of the fibromyalgia struggle. But, with some added support to the immune system, this could become much less of a problem. In a 2013 study, the polysaccharides of reishi were seen ramping up weak immune systems in subjects, thus improving strength, reducing weakness, and reducing the chance of incidental illnesses. For folks experiencing fibromyalgia, having some extra basic immune support—in addition to reduced inflammation and autoimmunity—and really go a long way. 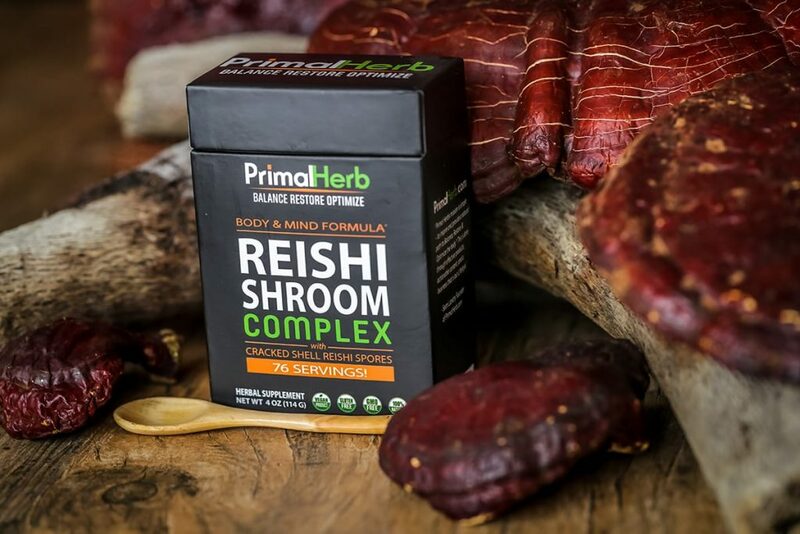 The most intriguing evidence so far that reishi could benefit fibromyalgia directly occurred only just recently—and it has a lot to do with better physical fitness and athletic performance. A study in 2015 looked at a group of patients who all had fibromyalgia. They took reishi for 6 weeks and were compared to other subjects who had taken a different herb. Following the trial, those who had taken reishi showed far superior results. They reported less pain, better aerobic exercise capabilities, higher speeds, and higher flexibility when they exercised. 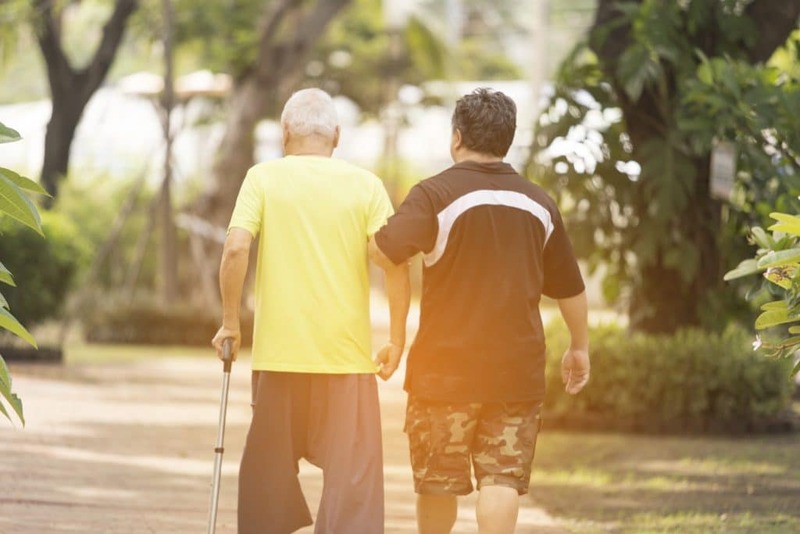 Since lack of physical fitness and exercise can be one cause for fibromyalgia, improving physical performance and abilities can bring confidence to those looking to soothe their condition with the help of exercise. It could also give their newfound workout routine following inactivity a little boost. Another possible cause of fibromyalgia: weight gain. Weight gain may also be a direct result of fibromyalgia, too. Either way, taking reishi mushroom could help people with fibromyalgia manage one’s weight toward healthier goals. This could thus keep some of the worst symptoms of fibromyalgia at bay, and even help avoid flare-ups altogether over the long term. A study in 2015 even showed that taking reishi mushroom helped obese test subjects lose weight. It appeared to do this by healing the gut as a prebiotic, which in turn helped support the healthy gut microflora, regulate blood sugars better, and lowered the risk of diabetes and high blood sugar, which can cause weight gain. 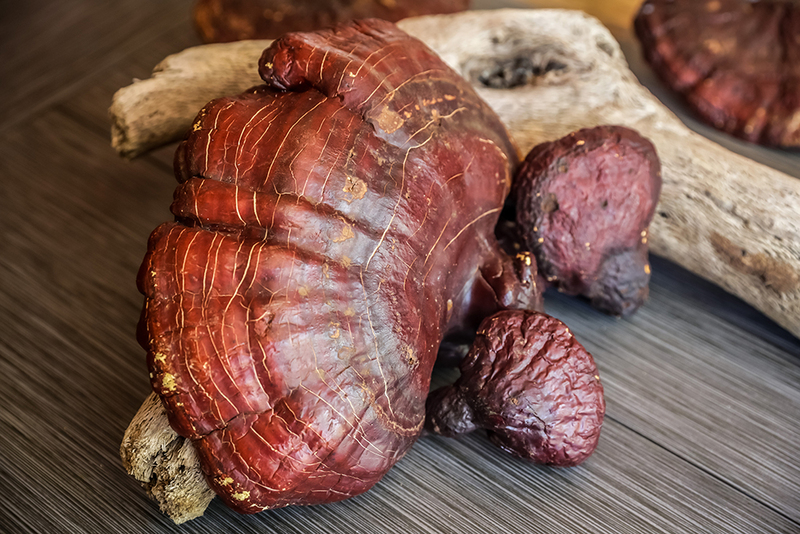 Though reishi is no magic bullet that miraculously sheds off pounds, it can still be a helpful extra in one’s fibromyalgia plan or regimen. In mainstream medicine, doctors are apt to prescribe depression or even anxiety medication for people dealing with fibromyalgia. Just like with weight gain, depression and anxiety may be the cause of fibromyalgia to some extent—but it can also be a symptom of it or caused by the condition, too. Regardless of which, reishi has been traditionally used for centuries to support mental illness. In line with this, science is also showing that the fungus may indeed have beneficial effects on mood disorders, too. A study in 2013, for example, found that reishi had anti-depressant like effects as an extract. 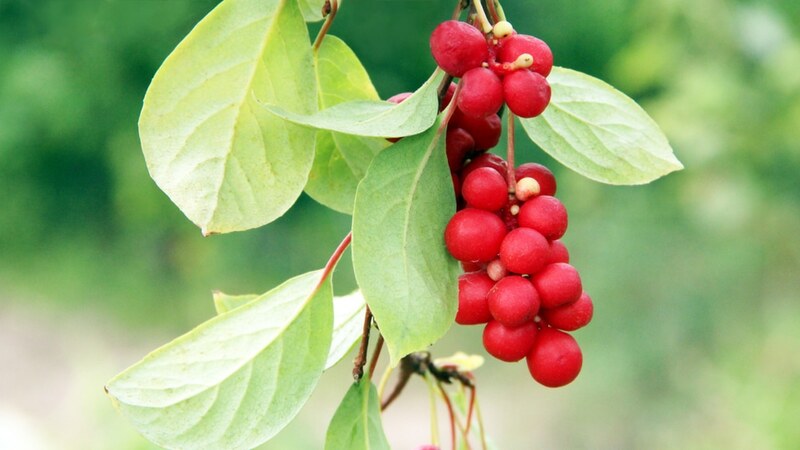 Another in 2015 found anti-stress, anti-anxiety, and anti-depressant effects altogether. And not just that: a study in 2012 found neuroprotective effects, while another that year discovered that reishi could help replenish energy while dealing with fatigue. 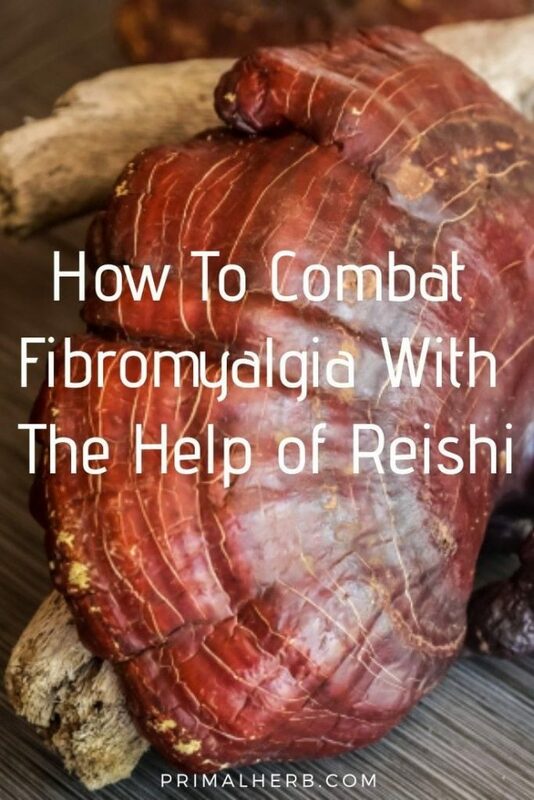 On those counts, reishi isn’t just limited to supporting mood disorders related to fibromyalgia, but also the low energy and brain fog sometimes associated with the condition, too. Amazed by reishi? It can be found in a number of our specially formulated herbal supplement blends.